You would think a cave would cater to kids, being all dark and drippy and underground, with bats and piles of guano. That was our thought, anyway, when we veered off Highway 10 and headed south. Two college students discovered Kartchner Caverns after squeezing through small rock crevices. Being a geologist, my husband was keen to go. Being a parent, I figured spending an hour inside a hermetically-sealed underground cavern with an autistic five-year-old was a peachy plan. What could go wrong? Since our children were the only kids on the geriatric-weighted tour, Peggy paid close attention to us from the get-go. She first ordered Blake to spit out his gum, lest he forget himself and hork it toward a stalagmite once inside the cave. After we entered the man-made tunnel that leads underground, Peggy instructed us to remove our jackets and roll them up before tying them around our waists, lest tiny lint fragments somehow befoul the ancient limestone formations. And under no circumstances were we to touch ANYTHING, save the paved pathway and the railing. “Touching the formations is punishable by law!” Peggy said, looking squarely at Bennett. Evidently, the oil from our hands is bad for caves. It gives them zits and then no one visits anymore. I’m sure the “touch” perps in this photo are incarcerated in an Arizona prison. Peggy pulled an orange wrist band from her pocket. “If anyone touches anything inside the cave, I will tie this around their wrist so everyone knows who did it.” Great, public shaming! “Then, we mark the spot they touched and a team enters the cave after closing and hand washes it.” Good to know were were touring the Mommy Dearest cave. I mean, seriously? It’s a cave, not the Mona Lisa. So of course, as if to test her, Bennett immediately put his hand on the venting system in the manmade tunnel. “Son! No touching!” she scolded. This was going to be un-fun. So OCD are cavern officials, you can’t even touch man-made stuff en route to the caves. We entered the cave. The door closed behind us. I shadowed Bennett, waiting for a misplaced finger to incur Peggy’s wrath. It didn’t take long — unbeknownst to me Bennett had been trailing his hand along the rock wall. “Son! Absolutely no touching! We take this very seriously!” I waited for what I assumed would be one of many orange wrist bands to decorate my son’s arm, or at least for the CSI-Kartchner team to file in and flag the yard of contaminated rock, but nothing happened. From then on I held his hands. Not long after, Avery’s cowgirl hat fell off of her head and onto a pile of rocks. This caused some panic amongst Peggy and her two helpers. “Can’t we just grab the hat?” I asked. “We’re not sure ma’am.” It was like a crime scene, where you couldn’t move anything. Perhaps her hat would remain in the cave and morph into a hatagmite over the millennia? She eventually got it back. Avery, hatless, poses by a fauxmation in the visitor centre. 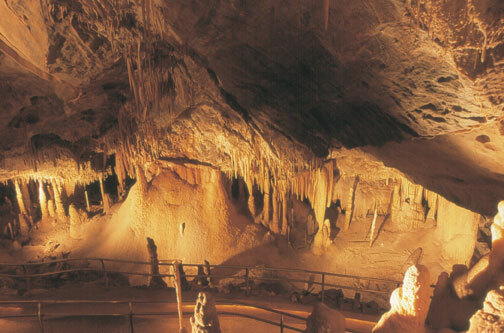 The tour culminated in a large cavern in front of the cave’s largest formation, a stalagmite called Kubla Khan, so named in honour of the ruler of Xanadu (a fictional cave kingdom) in the poem by Samuel Taylor Coleridge. Peggy made us sit through her pretentious recitation of the poem, then she turned on some tribal-sounding music and we watched a sort of light show illuminate various formations in the vast cavern. It was meant to be a solemn and awe-inspiring finale, but I really wished Bennett had chosen that moment to belch the alphabet, or at least fart loudly, to steal Peggy’s thunder. 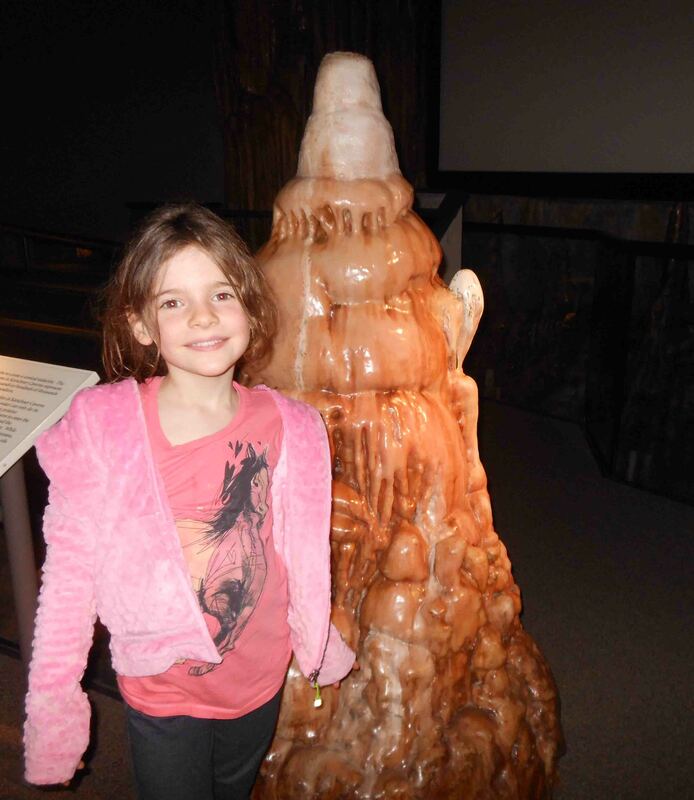 This entry was posted in Outdoor Adventure, Travel and tagged Arizona attractions, family travel, Kartchner cave tours with kids, Kartchner Cavern State Park, Kubla Khan poem. Bookmark the permalink. Sounds to me like Peggy was doing her job. I’ve been on the tour (with a different guide, Paul) and it sounds pretty standard. While your kids’ actions alone might not ruin things, the rules need to be followed by EVERYONE or we will lose the unique pristine value of the cave. It is a living thing. Next time, make sure an experience is supposed to be interactive before getting cranky when it’s not. Kartchner Caverns is beautiful and should be protected. However, cave officials might want to rethink how they deliver that message (how about in a friendly, non-condescending way?). Also, if the cave tour isn’t appropriate for children, please tell paying customers before they are locked deep inside a mountain. it’s perfectly fine for children. You just need to tell the kids what it is beforehand, and that it’s not a “touch and see” or caters to them with activities. TONS of kids enjoy adult activities that they can participate in. It’s a great way to aid maturity in children and foster responsibility. Hi, I was at the cave when they first opened it. The public visitors affected the well being of the cave. They had to close the cave down. 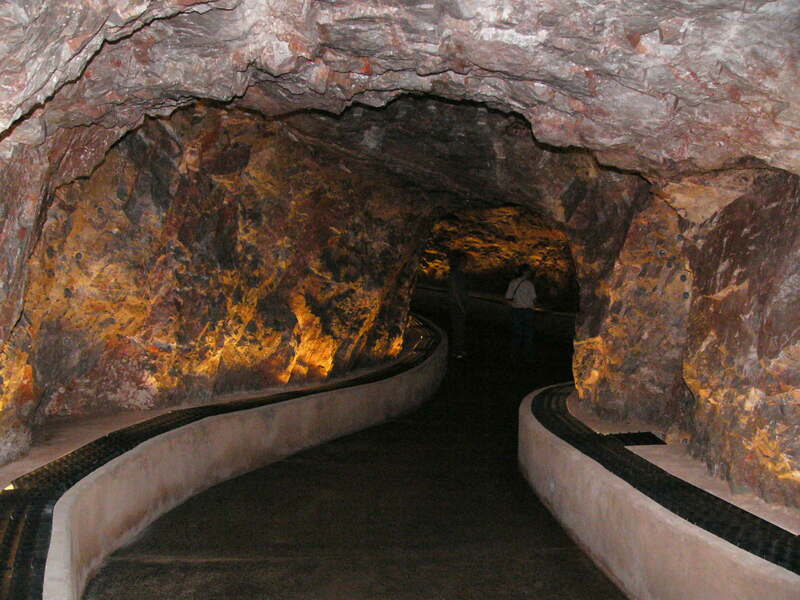 They then fixed many things so that the cave lives and is still there 30 years later, so visitors can enjoy it. See it as it is meant to be. I had the wonderful evening this past Friday, visiting the Cave. I am glad there are rules and we haven’t had the Cave Ruined. My family will bring our grandchildren there. Some day our grand Children will bring their children there too. Peggy and many of the guides there are Trained Volunteers. Without their dedication the cave won’t be there and wouldn’t have been there for you to see. So thank you Peggy. Hi, I forgot to mention, schools bring their school children on trips to the Cave. do you bring your kids to other people’s homes and let them fart, belch and touch whatever they please? I am a volunteer in the cave now, and have been to many other caves. I have seen the destruction that is done to caves by people touching and breaking formations. Many children go on the throne room tour and behave appropriately. If I was leading that tour I would have had your children removed. You have missed the point of my blog post. 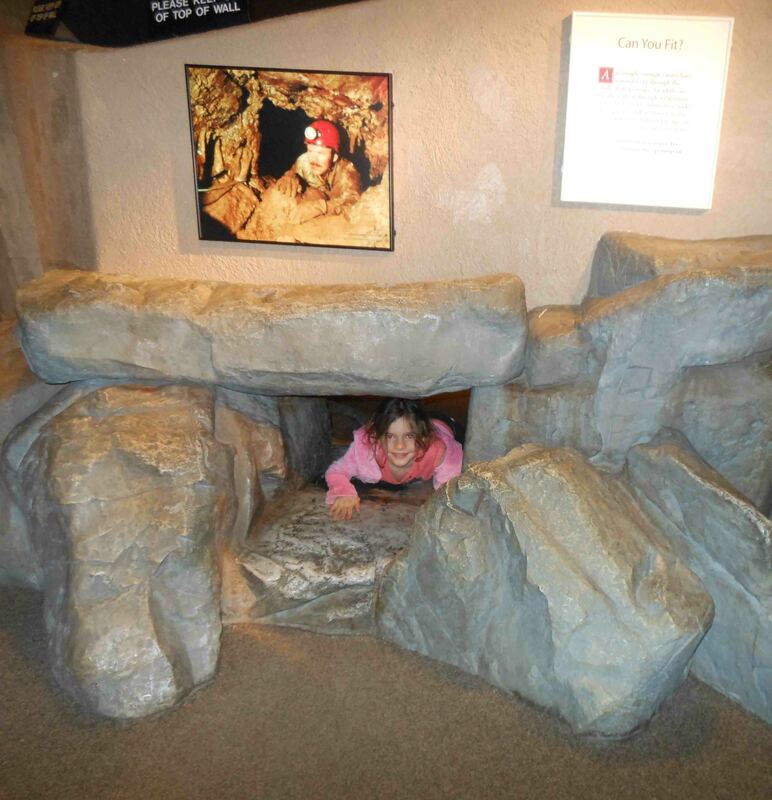 I did not let my kids “do whatever they please” inside the cave. After my autistic son touched the wall I held his hands the rest of the tour, guiding him through. After my daughter’s hat accidentally fell off, an adult carried it from then on. And for the record, no one in our party farted or belched (if you re-read my post you will see). Our children behaved. What we didn’t like was the guide’s attitude, and the manner of her scolding us. We are happy to follow rules (and we did), but we feel they should be communicated in a more pleasant way. Unlike most tourist attractions we have been to, this one was not a warm experience. We did not feel it to be family friendly. I just finished the tour and the stunning beauty of the caves blew me away. There were at least 8 children on the tour, none even tried to touch anything. I hear what you were saying but your comments sound just as demeaning as hers did to you. I loved the light show, and loved the “tribal” music! It was incredible to see a truly living cave… Perhaps you should try a dry cave next time so the rules wont be so hard on your family. Our guide made the same rules perfectly clear no one in our group, and there were several young people, seemed offended. I did noticed parents being uber vigilant and had to remind their kids not to touch, (and maybe even themselves.. even I had to hold back the urge to touch) but them the rules.. and I was absolutely fine with them. You are so very wrong, this is a family affair as parents can share with their children the absolute unspoiled wonder of nature at its finest. What Peggy was trying to teach you, in perhaps her direct way, was how to treat the cave with respect, and to make sure you understood how honoured you should be to be able to see and walk down the paths that no human had until 1974. And BTW the very fact that you write “its a cave!” implying that is is “just” a cave, then you quite simply do not get it. This is a living cave and it only lives if we do not mess with it. These caverns and all its wonders are WAY MORE VALUABLE then any Mona Lisa… while the Mona Lisa took four years to paint , this “its just a cave” took millions of years to create! If your child ruins something it can never be replace and if it can not for a hundred lifetimes and only if we make sure we don’t mess it up… so if you cannot understand why all the rules, and you want a place where your kids can spit their gum where ever they want… then go to Disneyland and leave the wonder of nature to the rest of us. If you are reading this… thank you Peggy, the rest of us are fine with the rules and if you were a little stern with their group it was probably because you had people like them on the previous tour!